UFC Middleweight champion, Robert Whittaker, has had two very difficult matches versus one of the most explosive fighters in the division ever, Yoel Romero. After two extremely difficult main events of the evening at UFC 213 and UFC 225 and ten brutal rounds against one of the best punchers in the whole UFC, Kelvin Gastelum speculates there is no way damage isn’t taken. It happened to Conor McGregor after the loss to Floyd Mayweather Jr, so it doesn’t mean The Reaper is resistant. After all, he doesn’t carry a Kevlar helmet around his head. Kelvin Gastelum agreed to be the coach at the next and maybe the final season of TUF (The Ultimate Fighter). Looks like this event is designed to keep Robert Whittaker in the headlines while his hand recovers. 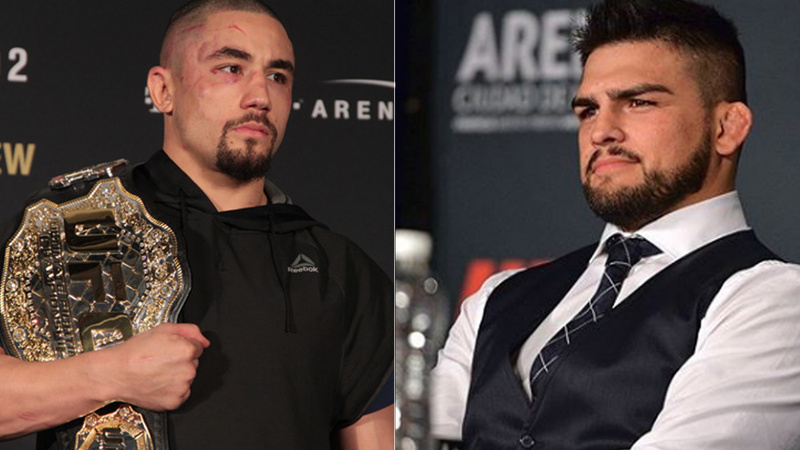 For now, it is still unknown when should Kelvin Gastelum and Robert Whittaker cross their gloves. The Reaper should be medically fit in December, and it is believed his belt will be put on the line then. What do you think, is there a possibility Robert Whittaker might heal earlier? Do you really believe Kelvin Gastelum is right about long-term brain damage?